TV-Tinykins Gift Box set from 1961. Includes 34 of the 36 TV-Tinykins figures. Not included is Alfy Gator, from the Yogi Bear series, and Fireman from the Flintstones series. 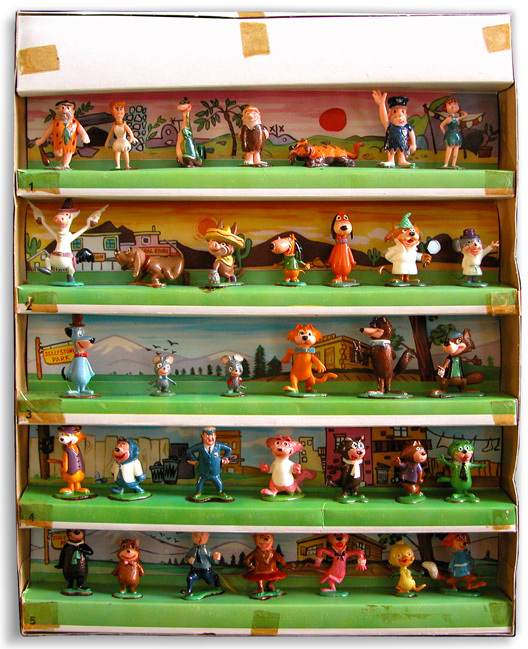 Both Alfy Gator and Fireman were available as individually boxed figures and were included in Playsets and TV-Scenes.